I’m not a very big fan of changing themes on my computer. I like to find my look and stay with it. But that’s just me I guess, I’m boring that way. But for those of you who love to experiment with different looks and design, here are some official Country Specific Themes for you to play with. Should you know of more Country Specific Themes that aren’t listed here, leave a comment. 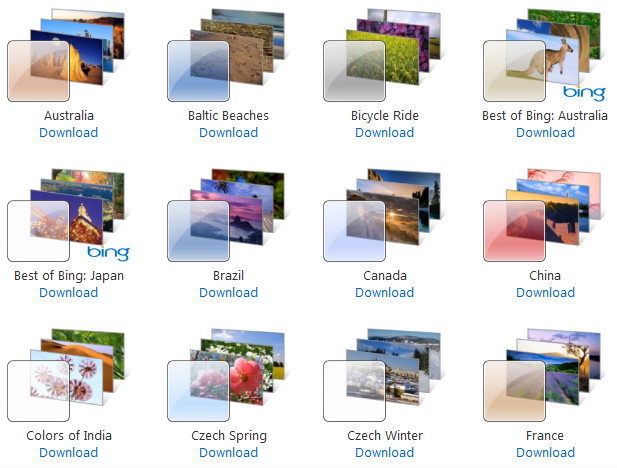 Cool themes, every themes show the beautiful places of the country. is Singapore one of the list? I love to change themes on my computer and i’m glad i found this site. I love the many designs available..